Why are there garden gnome in most of the gardens I see? Why is it always a dwarf specifically male dwarves, be put in the garden? Why not a dog statue or a small scarecrow? Why gnome? We sometime ignore the use and the reason why there are garden gnomes. Some may say that its for beautification of your garden. Others may say, to put fun and toys to small kids while in the garden. 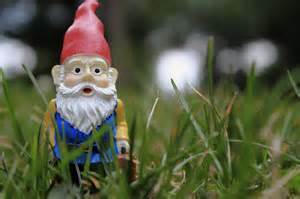 Gnome came from the Latin word ‘gnomus’ which derived from the Greek word ‘gnosis’ meaning knowledge. It is sometime said that it came from the worn ‘genomos’ which means earth dweller. 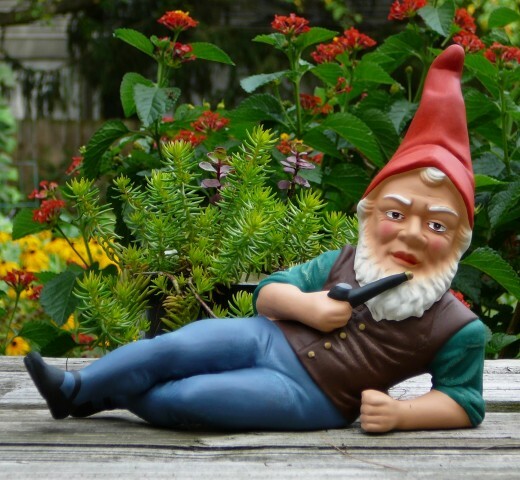 Well, garden gnome was thought originated in Germany in the 19-century which was known then as Gartenzwerge which mean garden dwarfs. Gnome came from the English and was adapted to the now known garden gnome in the 30s. It was said by our old folks that gnomes are mysterious and every fairy tales we read has it, so why not believe that these little men do exist. Europeans believe that gnomes are an important elemental spirit of the Earth. Their habitat is usually under the earth because many believe that ones a gnome is caught by rays of the sunlight, it will turn into stone. And that’s why the 7 dwarves of Snowhite work before dusk and home by dawn. Now and then, many still believe that gnomes have these magical powers that can protect people from harm and, if you make them mad, they can punish you to be sick, lost a thing, or worst may lost someone in your life or you yourself. Thought of why these gnomes like the 7 dwarves are miners? It was believe that dwarves or gnomes are protector of mine and knows where the hidden treasures are. German Philip Griebel a scupltor who made terra cotta animal designs for gardens, created the dwarfs or gnomes based on the fairy tales so that people specially the gardeners will enjoy the fun and myths of the gnome. He made these statues specially to night gardeners because they believe that gnomes are the willing helpers to tend to your garden every night time. The gnomes popularity in Germany spread across France and England. Garden gnomes are always male. Why? 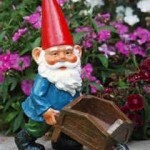 As the garden enthusiast will always say, male gnomes are hardworker. And they are the ones to guard your garden from any predetors that may destroy its beauty. That’s why most gnomes stares always directly to your eyes. So why are there garden gnomes? Its main purpose is to be a decorative figure in your garden. 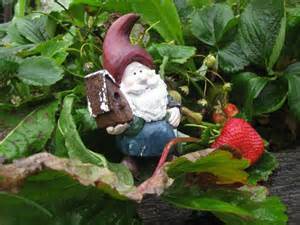 And some may add that garden gnomes can help promote natural growth of your plants because some say that these gnomes are known to take care of the vegetation of your garden and they all have the greenest of the green thumbs. Now do you believe in that?